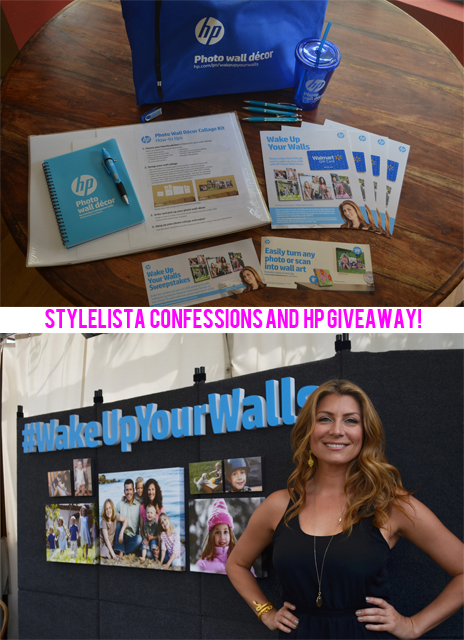 The event was centered around HP's new Photo Wall Decor products and their Wake Up Your Walls sweepstakes, where you can enter to win a $1000 home makeover by Genevieve herself! I am personally photo obsessed and as I have used my pictures to make a photo canvas (remember this post!? 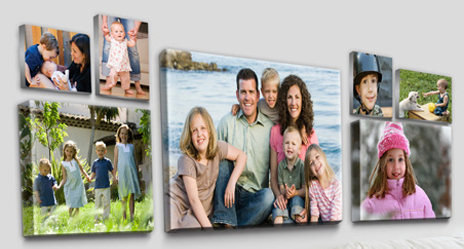 ), but these wall canvas pictures are even better because you can literally make an entire wall out of pictures in whatever design you want and its so inexpensive! You can basically get whatever picture or scanned photo you want printed at any of these locations in a ton of different sizes and they are ready to hang up instantly! Its the perfect way to personalize your house or apartment without spending a lot of money, which we all know I love! So here comes the good part. My friends over at HP and Porter Novelli are giving TWO lucky Stylelista Confessions readers a $50 gift card to Walmart where you can get your pictures printed the same day in any size you want! Prints start as low as 8 bucks and go up depending on size. So use the rafflecopter below to enter to win $50 towards redesigning your house just in time for spring! I will announce the winner a week from today! Good Luck!! I follow you in GFC as Mami2jcn. I like you on Facebook as Mary Happymommy. I also tweeted. I follow via GFC (ellie) and I like you on FB (Ellie W.
Thanks for the generous giveaway! I follow on GFC as Elena Vo and on instagram as applejack1616. P.S. love your photos on Instagram! I like you on twitter and facebook. i did at least 2! I did at least 2. Thank you. I did all of them! Thank you!! I did at least two things! Thanks!